hd00:18Autumn crocus blooming in lawn - swift zoom out/in. 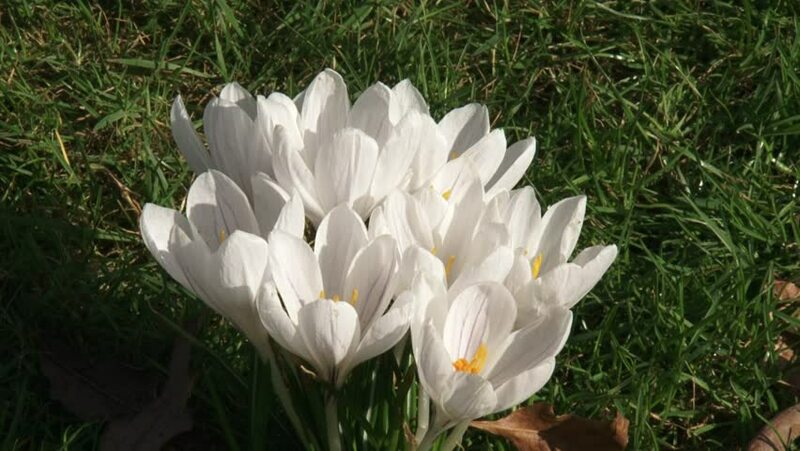 Colchicum autumnale, autumn crocus, meadow saffron or naked lady blooms in autumn with no surrounding leaves.The leaves and seeds appear in spring. 4k00:12Pink flowers in the garden in the wind. On the day of sunshine The sky is clear.